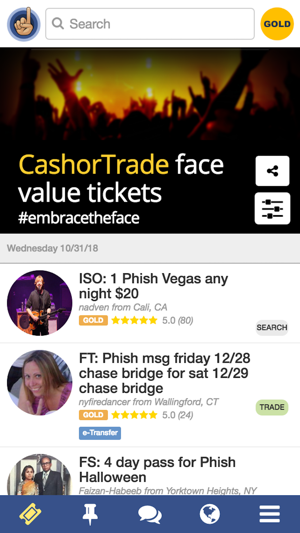 CashorTrade.org is world's only social network where fans buy, sell, and trade tickets for face value and avoid scalping. It is a growing community of over a quarter million members who are REAL FANS and who believe an event experience should be passed on to those to truly value it, and not for profit. 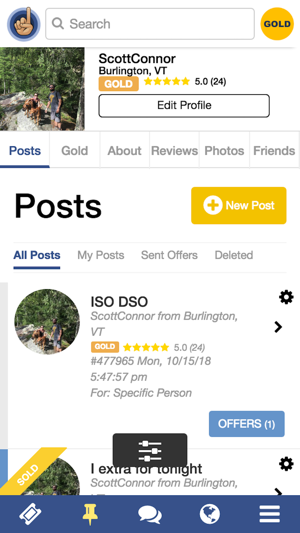 Gain reviews on your profile and build your credibility for successful transactions. Together we are the change this industry so badly needs. Become part of the community & work with us to build a global movement for face value tickets. ~ Added In App purchase for Gold Membership. ~ Fixed issue w/ connecting and logging in with Facebook due to the launch of their new API. ~ Fixed issue w/ upgrading accounts to gold. ~ Fixed issue where gold members were receiving message that they were not gold and they needed to upgrade when visiting post from alert notification. 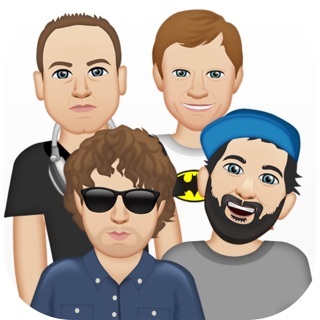 Please download the app and connect with members. We ask that you be constructive in your reviews & drop us a line at: http://cashortrade.org/feedback if we can help or make changes in anyway. I’ve loved and still love this service but the recent app update has made it nearly unusable. Messages don’t show as sent or get sent, push/sms notifications no longer work, screens won’t let you input data etc. I’ve missed out on several deals which is upsetting since I pay for gold membership to get early notifications about new posts. Fix the app quick before your user base gives up on you!!! Summer tour is here and this is going to be a huge problem!!! I love cash or trade, and everything that it stands for. On the computer it is fantastic. 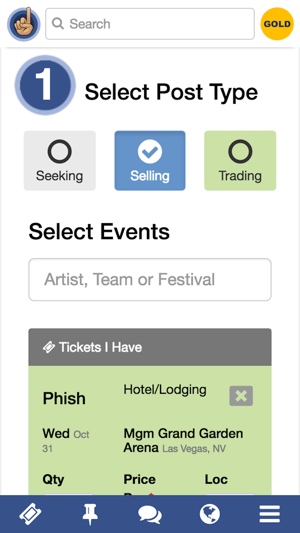 On my iPhone, any time I get a post alert (I'm a gold member) I have zero chance of responding to a ticket for sale, because the page just acts like it's loading for 10 minutes. I'm not sure why this is the case, but it pretty much defeats the purpose of having a gold membership. Kind of disappointed. I hope Brando and dusty get it figured out, I would love to change my rating and also remain a gold member. It used to work so well!